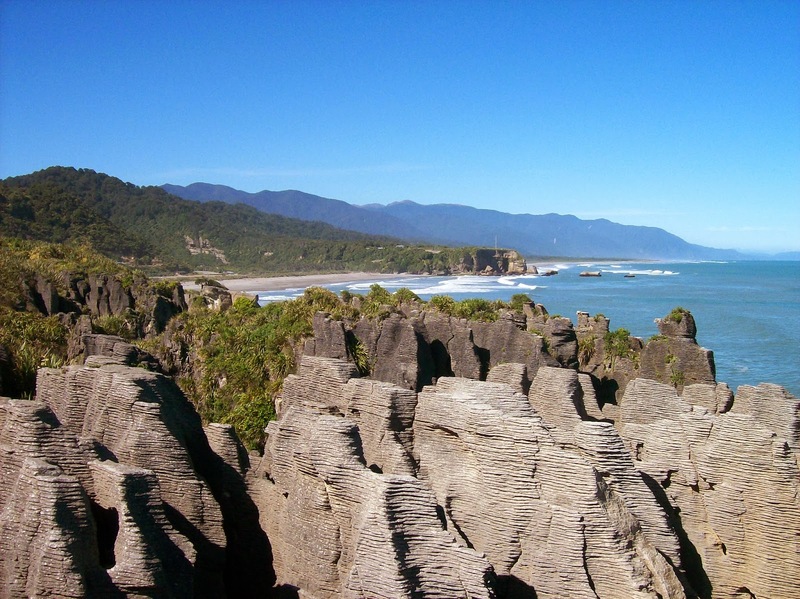 For today's Travel Tuesday post we are winging our way to New Zealand and the beautiful South Island. I spent three weeks there back in 2007 and I loved every minute of it. 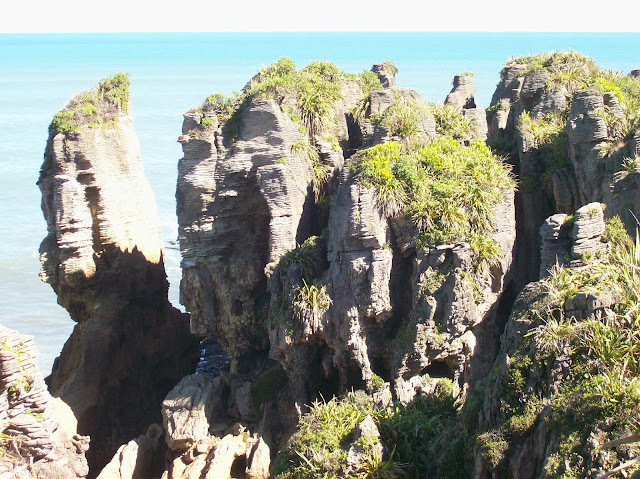 It's a truly stunning island with landscapes and vistas to rival even the most unusual and breathtaking. It was wonderful to see such extraordinary views around every corner and the colours are unrivalled by anything else I've seen in my life. Truly stunning! Whilst on the island we drove down the west coast, stopping wherever took our fancy as there are so many wonderful sights to see. 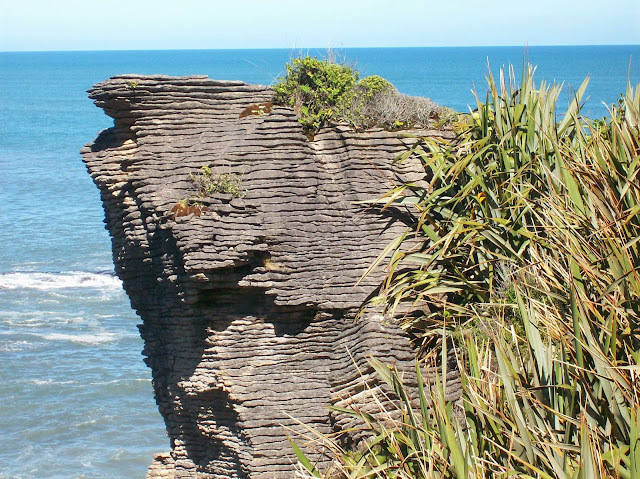 One of my favourites is the Pancake Rocks and blowholes at Punakaiki. These unusual rock formations have occurred thanks to a mix of the type of rock there and how it's been impacted by the earthquakes and weather. They truly are stunning and if you hang around long enough you see the blowholes in action thanks to the ocean swells. I adore the colour combinations in these pictures, the azure blue sea, against the greens and browns and then the uniform striations on the grey rock - so beautiful. Most definitely worth a visit if you're ever that way. Sometimes nature astounds me and this is most definitely one of those places that does that. 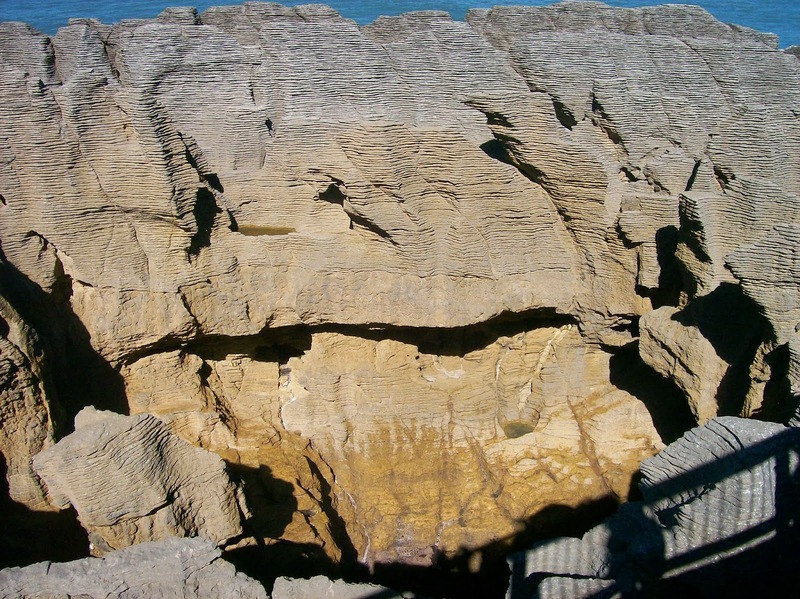 It's just crazy to think that this formation is the result of 30 million years of activity, how crazy is that. Totally worth the wait though, as I'm sure you'll agree. 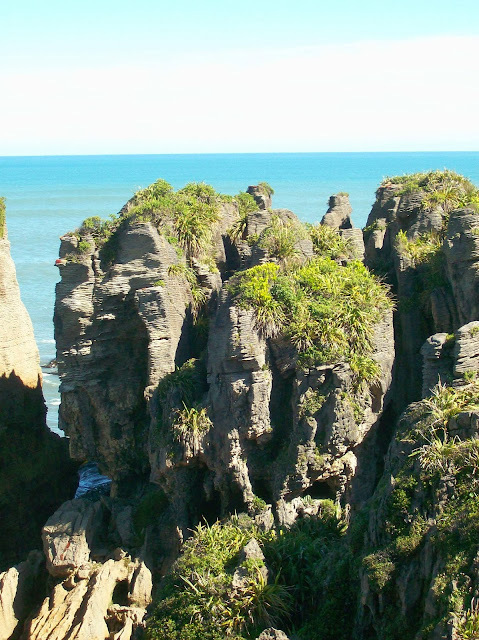 Have you even been to New Zealand, if so which was your favourite spot? p.s. As per usual I'm linking up with Bonnie for Travel Tuesday, so make sure you read the other posts! Wow, that looks gorgeous! 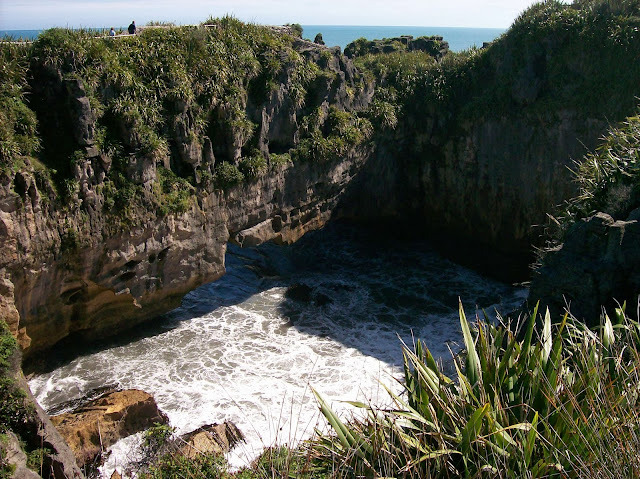 I've never been to NZ but I would really love to someday. You must go! It really is the most beautiful country and it has the most stunning scenery. It's one of my favourite places and I can't wait to go back one day. I've never been to NZ, but these photos are really making me miss the warm sun! Stopping by from the Travel Tuesday linkup. It should most certainly go on your list as it's an amazing country. So amazingly beautiful. Thanks for popping by. Love this post, I'd almost forgotten about this place - how is that possible? If it wasn't Christmas soon then I would definitely be wishing myself back there! I had too, which is just absurd. It's such a beautiful part of NZ, how could we!